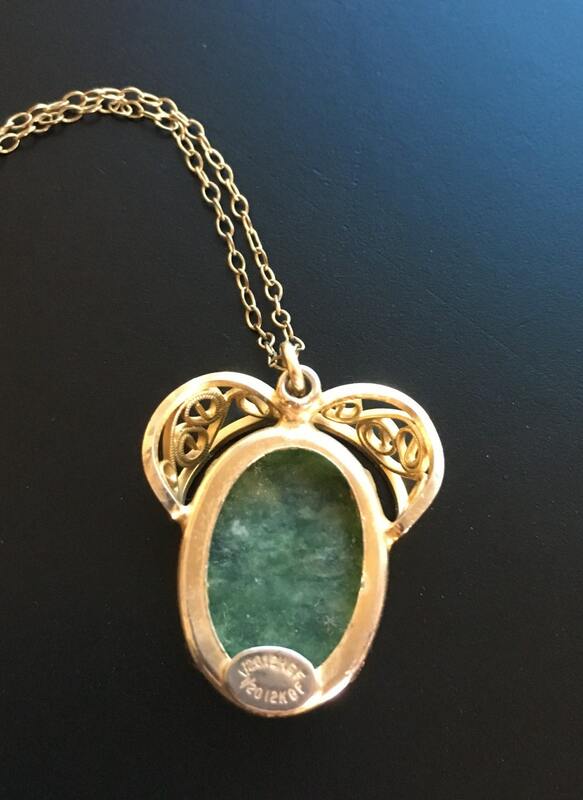 Vintage 1940s-50s, 12k gold-filled chain and oval cabochon green jasper stone pendant necklace. The pendant has scrolled metalwork atop, forming a leaf-like design. Sweet and lovely as can be. The chain measures approximately 15" long. 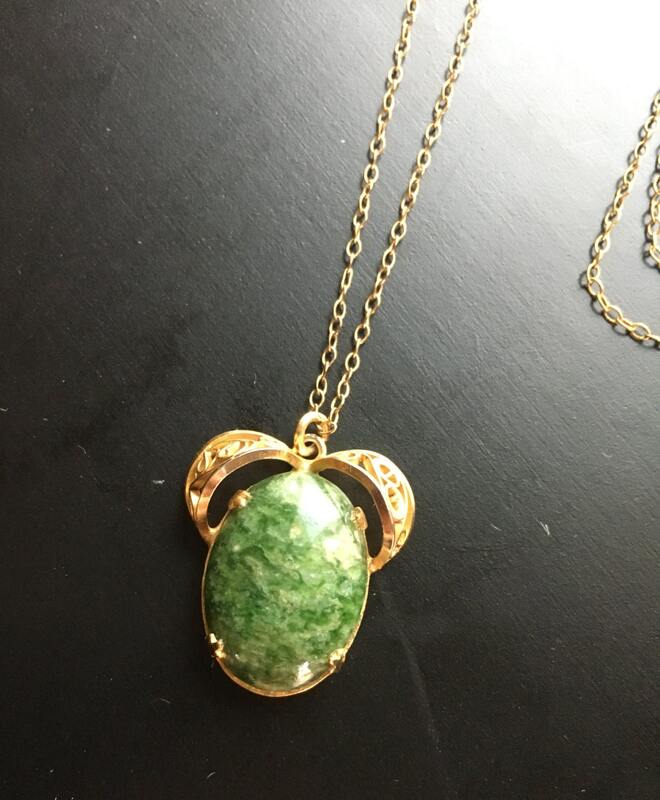 The pendant measures approximately 7/8" x 1/2"(stone only).